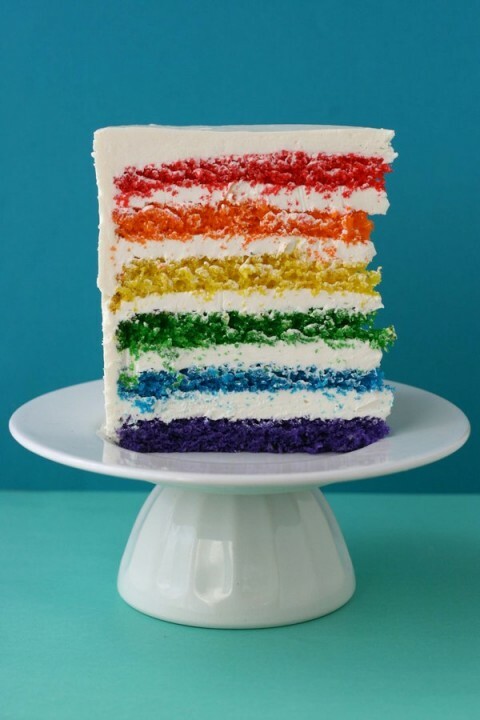 How fabulous is this Super Epic Rainbow Cake? god how i hate rainbow cake – bad experience with it from the past that I never had it since that one dreadful day. all i’ll say is.. don’t eat this cake after drinking a lot of beers. i don’t blame the cake of course – but the sight of it still upsets my stomach. This is the best looking rainbow cake I’ve seen! I’ll make it just for the visual appeal alone. I know someone whose birthday is approaching on the off chance someone might want to experiment with *making* this particular cake.